Hugo is an Expert in the Football (Soccer) business, entrepreneur and investor. With over 18 years professional, he has experience specialising in negotiations, club contacts and player relationships. Former professional football player from Portugal he has been instrumental in hundreds of player transfers around the world in the last 17 years. At age 22, Hugo began working as a player's agent and intermediary of the football clubs. During this period he also organised Tournaments and he specialised in Sport Psychology. In addition to being an agent, Hugo has organised international exhibition games for teams such as Benfica, Sporting, Real Madrid, Barcelona, AEK,Toronto FC, Gremio,etc. In 2005, he organised the “Football, Marketing and Youth Soccer Conference" in Goa, India. In 2006, Hugo came to the United States, and implemented a project to develop the Benfica Soccer Schools in North America. Hugo has travelled professionally to more than 30 countries where he has professional football contacts within independent clubs, and also international soccer organisations such as UEFA or FIFA. (Jan. - 2010) Hugo has partnered with a team of business experts to open a indoor sports complex in NJ (USA). He has strong contacts in many leagues worldwide such as USA,Russia, Greece, Bulgaria, Portugal, Spain, Brazil, England,China, etc. As an industry insider, Mr. Varela understands the nuances of player trades, contract negotiation, clubs structures, media and investments , also he owns the rights of the TV Reality show in partnership with Chelsea FC. 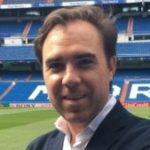 During the last 2 years he specialised in football clubs acquisitions, and also he create the structure for a investment fund in football. In January 2016 he intermediates a very important deal between Portuguese football league and the Chinese technology icon "Ledman". He is consultant for presidents, coaches and sports ministers around the world. He speaks Portuguese, Spanish, English and French. Always working to change the World !! !